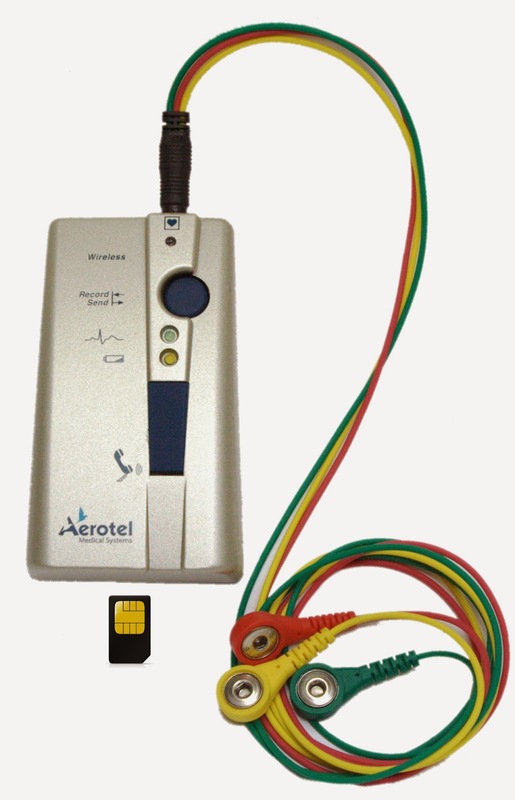 Aerotel Medical Systems will present the world’s smallest and most accurate hand-held ECG monitor at the GSMA Mobile World Congress 2014, which will take place February 24–27 in Barcelona, Spain. Aerotel will highlight the mini-sized monitor together other innovative telemedicine solutions at the Israeli Pavilion, Hall 5, Booth #5C81. The latest model of Aerotel's innovative HeartView ECG product line will be presented at MWC for the first time. The new HeartView™ P12/8 Mobile is a 12-lead ECG event recorder/transmitter for personal use, which has an incorporated 3G cellular module enabling the seamless transmission of a patient’s recorded ECG to the call center or to the physician’s email. The device is a powerful ECG device with high-resolution 12-lead ECG recording technology which is specifically designed for easy patient use. P12/8 Mobile enables the transmission of comprehensive ECG data from any place at any time. The recorded ECG transmitted to a call center that has the HRS (Heartline Receiving Station) software for immediate diagnosis. Over the past 16 years, Aerotel has achieved a leading position as a developer of telemedicine and telecare devices. Aerotel’s medical devices are used on a daily basis supporting millions of people in more than 20 countries.